D: The gifs are the most important part of all of that, clearly! What about the woman behind the blog? M: I work 9-5 for a travel company, in marketing and social media, which is pretty awesome, like dream job kinda territory. When I’m not on the internet, travelling or eating food, I can usually be found doing something music related – at a show or festival is where I’m happiest! D: What is it that got you to start creating content and what is it that kept you going? M: I think I’ve always been some kind of ‘content creator’ – even as a child, I was always the one to volunteer first for the school newspaper, and was always scribbling something, somewhere. Once the internet came along, I found a whole new place to write – I was all over LiveJournal, created my own Buffy fan site, and just really enjoyed fiddling around with spaces on the internet. As I grew into it, photography came too – and today I pretty much create something every single day, in some capacity. I just love doing it, seeing my words and pictures published in a place others can maybe read them! D: I was all over Livejournal too, what a throwback! What part of blogging do you love the most? M: One of the best things about blogging is it gives me incentive to get out there and do more! If it wasn’t for blogging, I’d spend less time appreciating the city I live in. I also love building my skills and trying to improve and develop. And, obviously, the awesome friends I’ve made! D: On the other hand do you have anything you dislike about blogging? M: Probably the worst thing for me is finding time to blog alongside my full-time job. And the fact it makes me want to just travel and eat ALL THE TIME! D: How do you find discovering that balance? M: I think the balance is still a work in progress – some weeks I have loads of time, some I don’t. I don’t beat myself up if I don’t post though – I’d rather be out having fun than feeling like I have to write. Although, I enjoy it a lot so it isn’t like a chore!! D: Very good point, it’s easy to make it become a job! What’s been your favourite post so far? M: That’s a tough one! Recently I was pretty happy with my alternative Berlin post as its kinda what I’m all about! I love sharing the lesser seen sides of places so being able to do posts like that is awesome! D: I really enjoyed that post, Berlin looks amazing! M: Aw thanks! It’s such a cool city. D: As a travel blogger what’s your favourite place you’ve been to? M: I absolutely loved Budapest! The architecture of Buda and the ruin bars of Pest are such an awesome contrast, I spent 6 days there and didn’t run out of things to do or places to go! D: I loved it there, only went for 3 days so will have to go back! If you had all the budget in the world, what would you wanna do for your blog? D: Obviously they need to know about the pizza! Do you have any creators who you admire or who’s content you just love? M: Loads! I have my group of blogger friends who it’d take so long to list, they’re all amazing creative people and also brilliant women. I adore Zoe London‘s content, she works super hard to create high quality videos, photos and posts while being true to herself and standing out. In terms of travel, Hand Luggage Only are actual gurus. D: Any future plans for you and your online life? M: Just keeping going I guess! I’m dabbling in travel video and potentially vlogging a bit, and generally improving my content etc etc. And, obviously, fuelling the blog with plenty more travel! D: Favourite movie of all time? Finally, any favourite artists at the min? M: At the moment I’m listening to a lot of The Front Bottoms, Don Broco and Gnarwolves! A big thank you to Milly for joining us today! 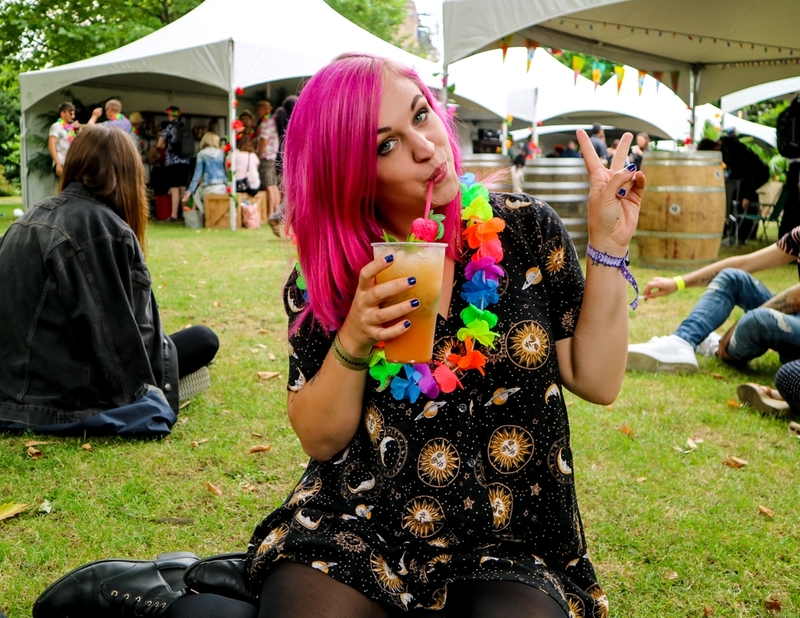 She’s one of my favourite London + travel bloggers, so make sure to check out her blog! I loved this recent post on Lafayette Cemetery! Catch her on Twitter + Insta too! If you’re interested in more interviews, here’s a link to last week’s and all 30+ here!